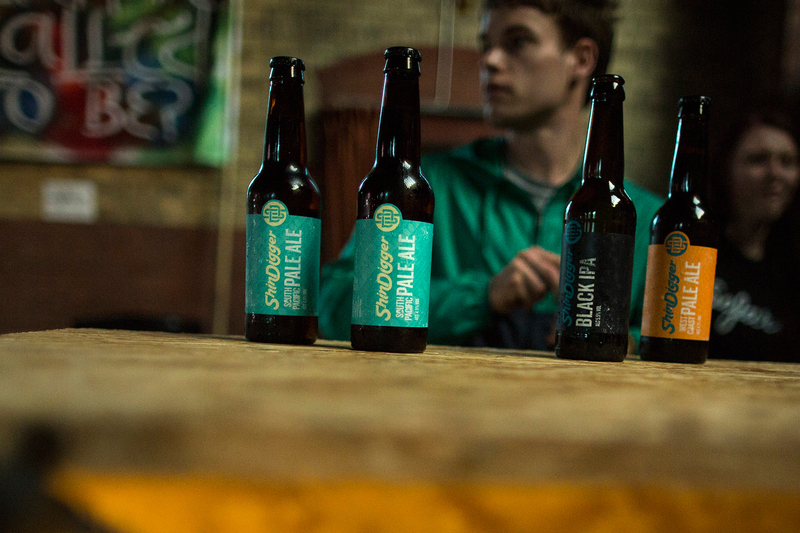 ShinDigger was founded by Manchester Uni graduates Paul Delamere and George Grant, with the duo selling home brew for £2 a pint at local house parties, and transporting it in the back of Paul’s banged-up old hatchback. Now, they’re selling over 50,000 pints a month, via 60 stockists nationwide, as well as launching a draught beer home delivery service (we’ve still not received our flagons, cough…) and ShinDigger Sessions, which hosts craft beer and music events. We’re grateful to have been there throughout the company’s growth, always looking to help push the brand in new visual directions and keep ShinDigger relevant and distinctive in a crowded marketplace. “We really enjoy working with AHOY. The team is so easy to get along with, and they have a clear understanding of what we want – they’re able to translate our values into something really visually outstanding.